By Melissa Lennig on October 26, 2014 4 Comments. This content contains affiliate links. As an Amazon Associate I earn from qualifying purchases. 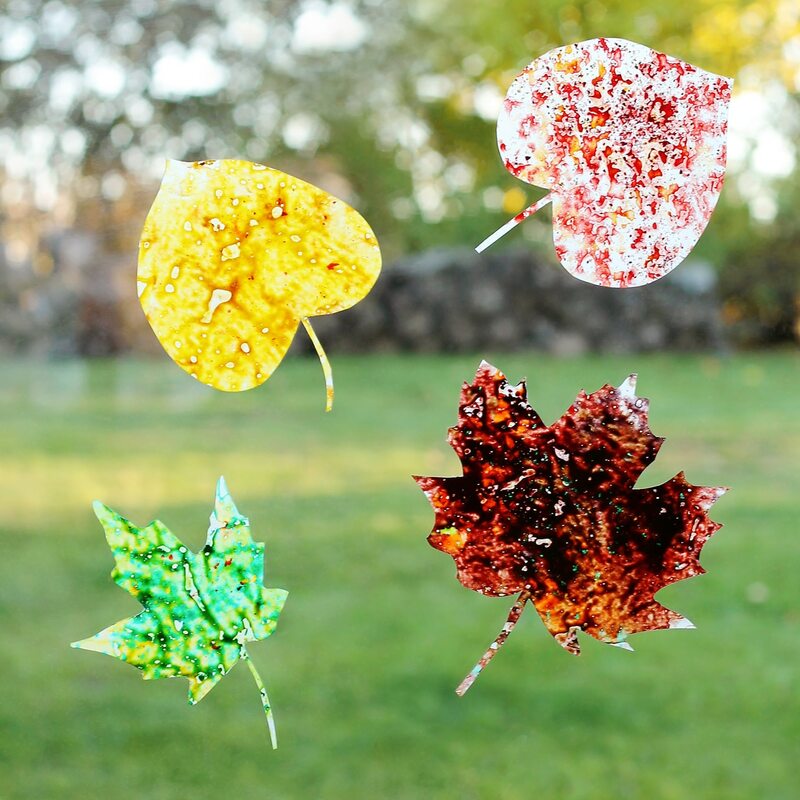 Inside: Brighten up your windows with Melted Crayon Leaf Suncatchers, a beautiful fall craft for kids! 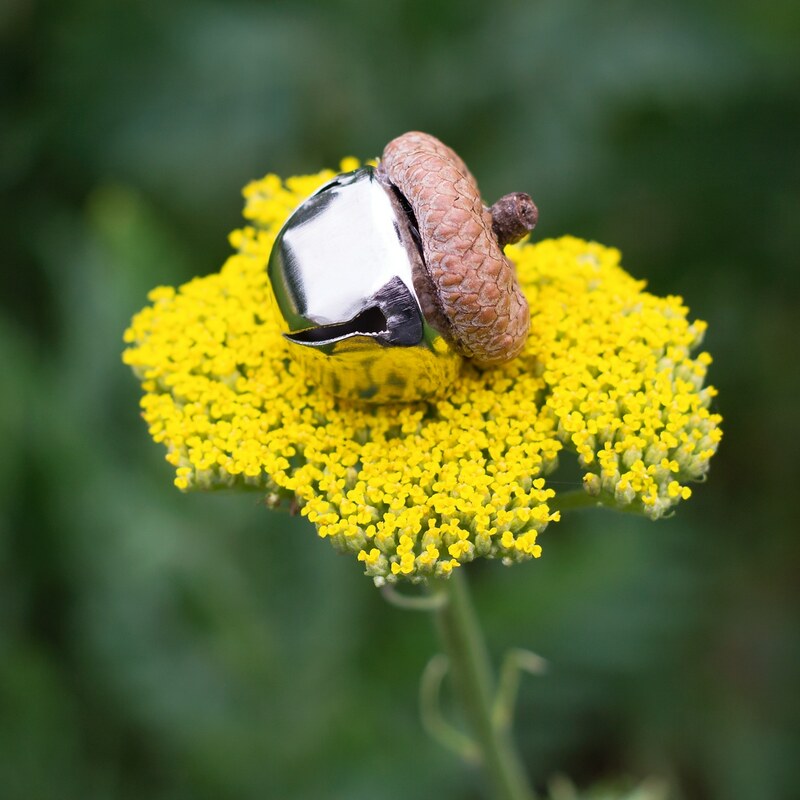 Here in Southeastern Wisconsin, we are enjoying plenty of fall color—both inside and out! 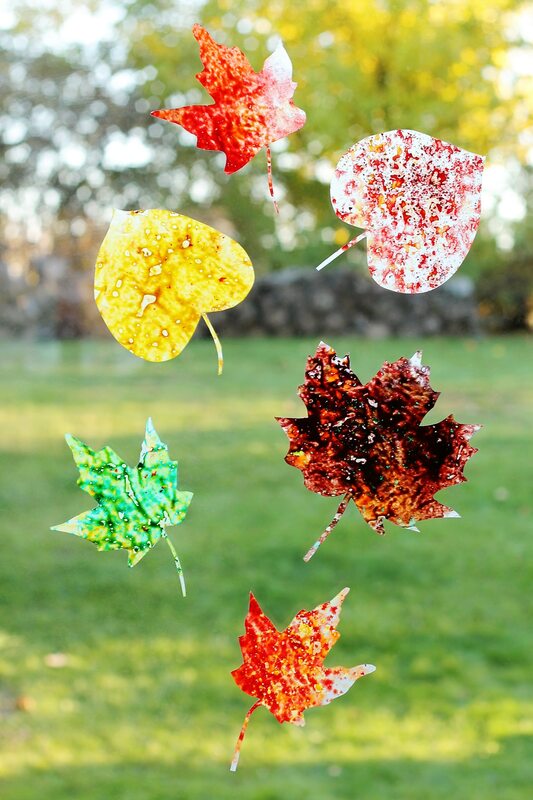 Our latest kid’s craft, Melted Crayon Leaf Suncatchers, are stunning in the warm afternoon light. 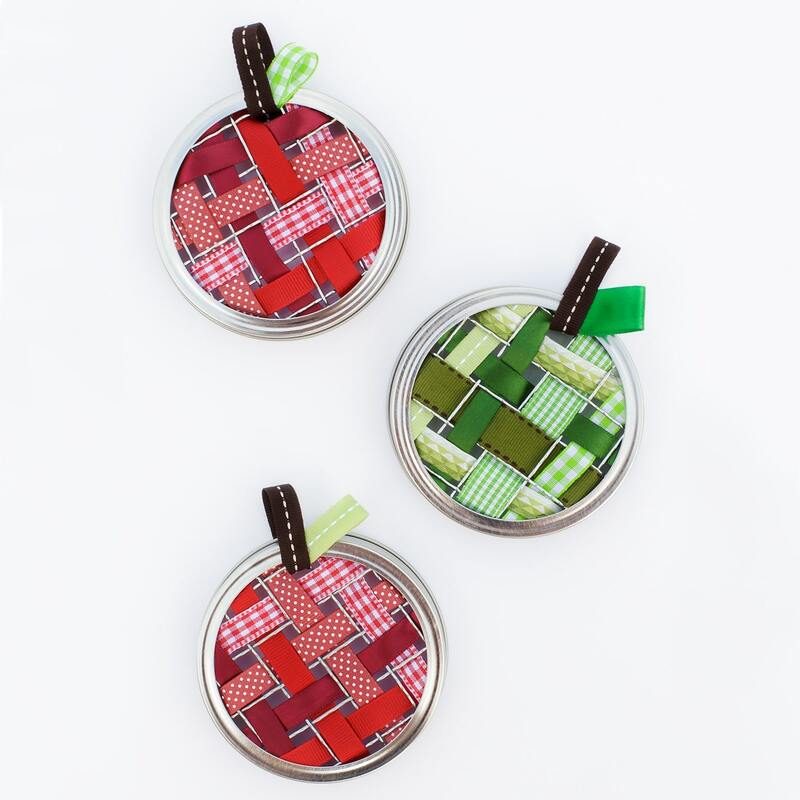 Best of all, they are easy and inexpensive to create. Before you begin, spend a little time outside collecting leaves. The leaves you choose will later become the inspiration for shape and color of your suncatchers. In our region, maple and ash trees are taking center stage with their vibrant shades of green, orange, red, and yellow. 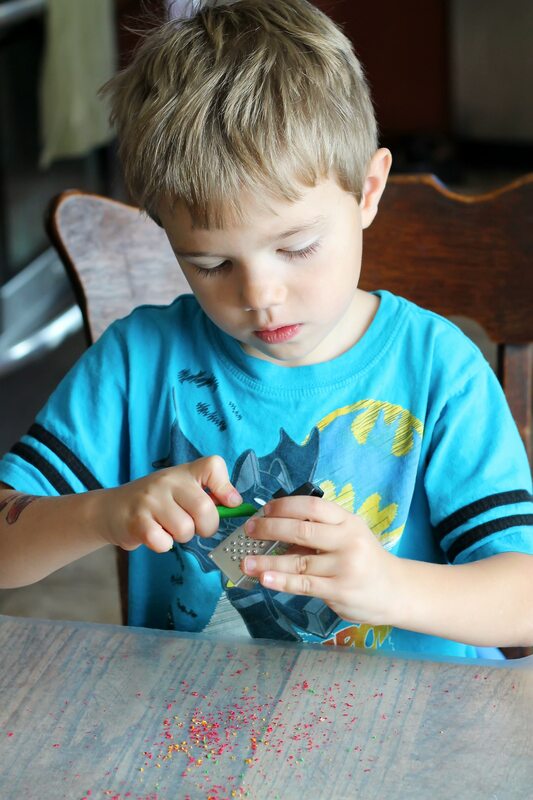 Invite your child to carefully grate crayons over pieces of wax paper with a mini grater. We discovered that using multiple colors looked best, as it realistically resembled the way leaves change color. Place a second sheet of wax paper over the crayon shavings. Center old dishcloths under (to protect your ironing board cover) and on top (to protect your iron) of both pieces of wax paper, and gently iron over them. The wax paper and crayon shavings melt together, creating beautiful, lasting fall color. 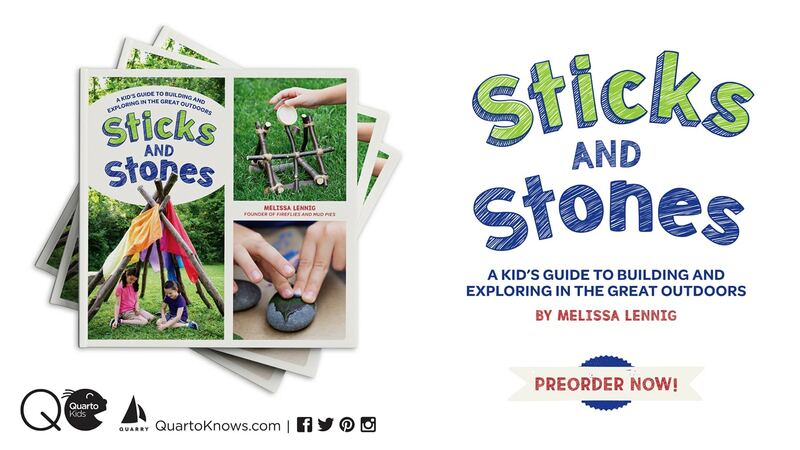 Invite your child to trace the leaves he collected onto the wax paper. Cut out the shapes, then place them on the window with double-sided tape. 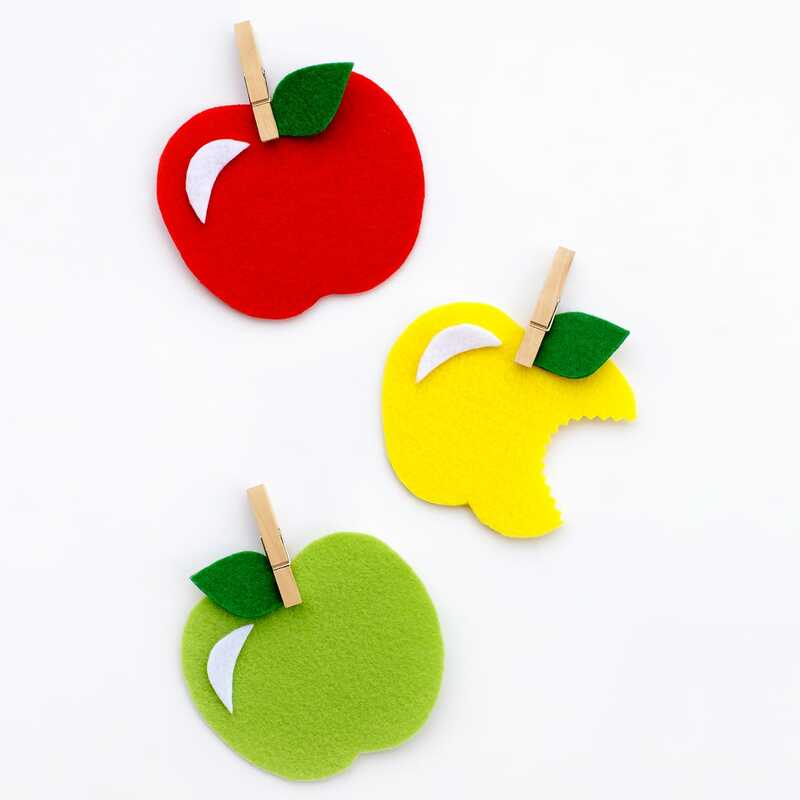 Click the images below to view more creative fall crafts for kids.